Bingo is a simple and entertaining game that people have enjoyed playing at home for many years, before it hit the clubs and businesses. The game is popular with all age categories – older and younger. Bingo experienced its largest increase in popularity at the end of the 19th century, when it became a household name and a player favourite. 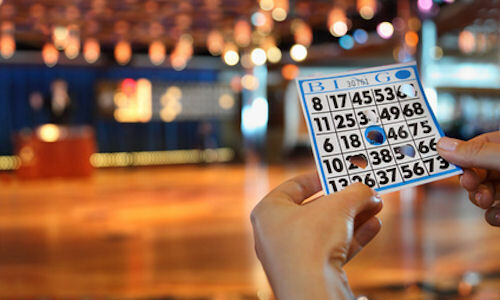 Today, Bingo is one of the most often played lottery games in all casinos and clubs. Many clubs are exclusively devoted to this game. Bingo is considered a game of luck and is very easy to learn. The most important thing to learn, for beginners, are the rules and winning combinations, in order to realize in time that you have "bingo". Playing at a real casino differs a bit from playing online Bingo. The basics of the game apply to both forms of playing, whether you prefer the online version or would rather go to a club and play live. The most important tool for playing is your playing card, usually made of paper, with numbers already printed on it. The player crosses out numbers in the sequence they are announced (generated). Each card is valid for the current game only and its validity expires at the end of the round. Some clubs also offer "hard cards" which are plastic and can be reused. The primary goal of the game is to "cross" the entire playing card out, which is also referred to as full house - Bingo. Lower level winning combinations include filling a complete line - row, row or diagonal. Online Bingo does not differ much from the classic form. The rules remain the same. Instead of playing at your favourite club or casino, you can play from the comfort of your home. Each player receives a virtual playing card. Randomly generated numbers are marked on the playing card. All quality online casinos offer the online form of this popular game. There are active player groups around the world who communicate and play virtual Bingo together. Take advantage of the opportunity of playing wherever you want, when you want and with whom you want.